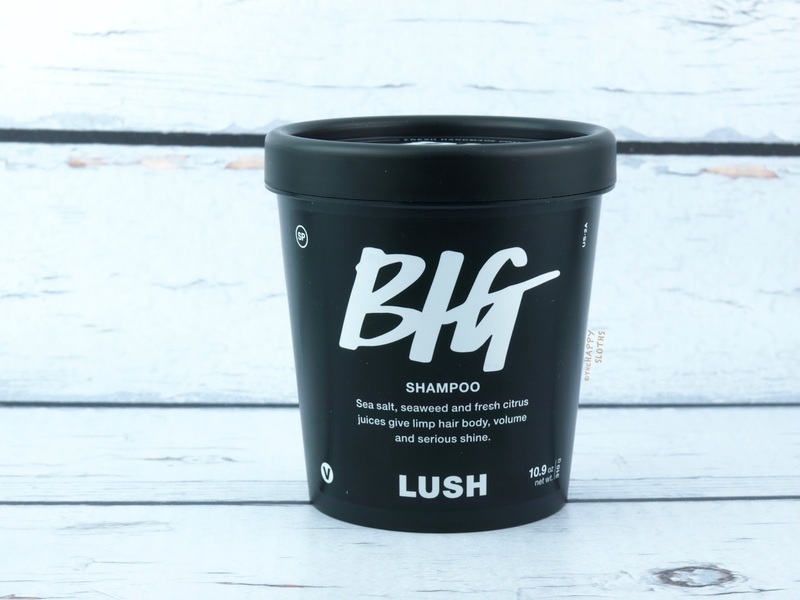 Available in a 310g 100% recycled plastic tub, Lush's Big Shampoo is formulated with coarse sea salt, sodium laureth phosphate, lemon infusion, sea water, seaweed infusion, coconut oil, and a handful of other herbal oils. 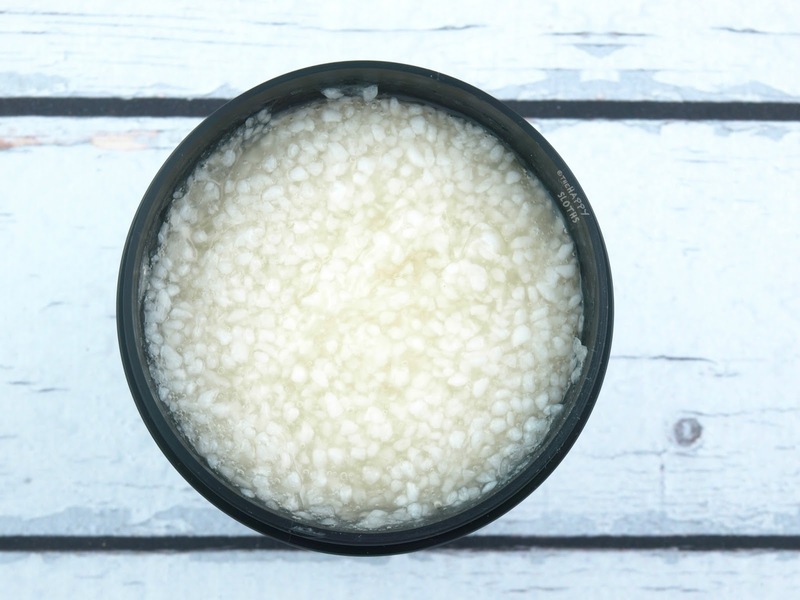 The coarse sea salt serves the purpose of removing excess oil, dead skin cells, and dirt from the hair and scalp without stripping away any natural oils. As you can see in my photos, the shampoo has a visibly chunky texture. 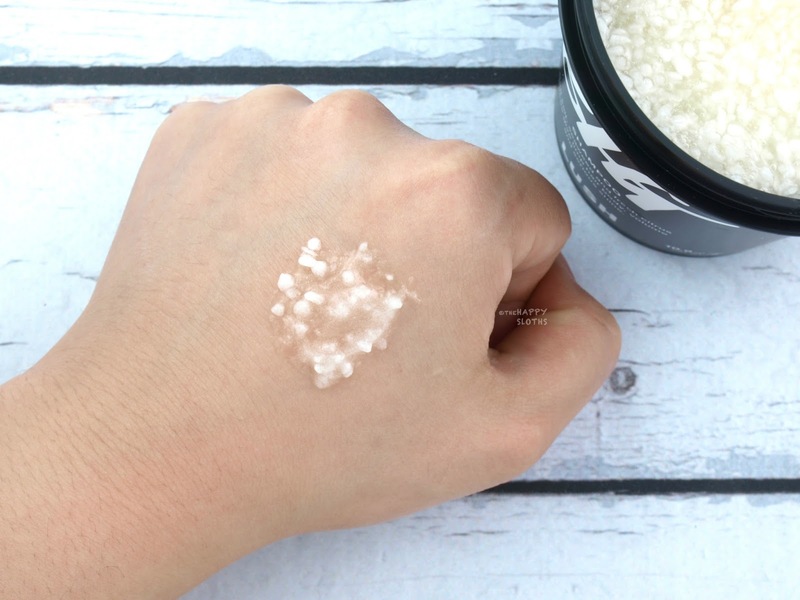 It's quite strange to apply what appears as a rough scrub onto the hair so I found that I have to lather carefully in order to avoid damaging my hair with the huge sea salt chunks. Fortunately, the salt dissolves away after 30 or so seconds. After which, I can easily lather the product just like any other ordinary shampoo. Big Shampoo provides a very good lather, and it has an interesting citrus scent that's mixed with a strong whiff of sea water. The product does a great job at cleansing the hair. However, it leaves the hair so squeaky clean that it tends to feel a little rough and tangly. Therefore, this is something you need to follow up with a conditioner. In terms of providing volume, Big Shampoo works wonderfully. After drying, my hair literally looks like it's on steroids! I get more volume not only at the roots but pretty much everywhere else. However, I do find my hair looking more frizzy and dry, even with the use of my regular hair oil. So all in all, this is definitely the most unique shampoo I've tried to date. It is crazy cleansing and volumizing but I'm not sure it's quite my cup of tea. After use, my hair gets very frizzy and prone to tangling. So I would perhaps recommend this product to those with oily, short hair for whom tangling and frizz won't be a likely issue.